Carriage Mitsubishi is proud to serve Atlanta, Georgia, one of the most important cities, not just in the state, but in all of the United States as well. Established in 1837 at the intersection of two railroad lines, Atlanta exploded into a national center of commerce in the post-Civil War era. It’s now the primary transportation hub of the Southeastern United States, and has boasted the world’s busiest airport since 1998. Its economy is diverse, its people vibrant, and its culture rich. Even its topography is lovely, with its dense trees and rolling hills. 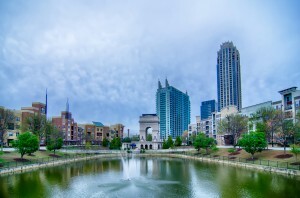 Every day at Carriage Mitsubishi, we serve a number of people from various different backgrounds who are curious to find out more about Atlanta—even those who have lived there all their lives know there is still more to discover! There are the obvious attractions: Six Flags Over Georgia and White Water Six Flags are world-renowned for their rides and shows. Then there’s Zoo Atlanta and Georgia Aquarium, where families and couples can marvel at some of the world’s most intriguing and beautiful living creatures. For those with an inclination toward sports, we’d recommend a visit to the Atlanta Cyclorama and the Braves Museum. For cultural enrichment, the Atlanta History Center, Underground Atlanta, and Oakland Cemetery are all worth a visit as well. That’s not to mention the numbers bars and pubs, restaurants and markets, clubs and theaters, and all the various other things you can visit, see, eat, hear, drink, and more, in Atlanta! 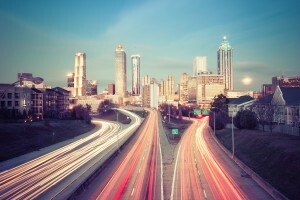 If you can imagine it, odds are Atlanta has it!